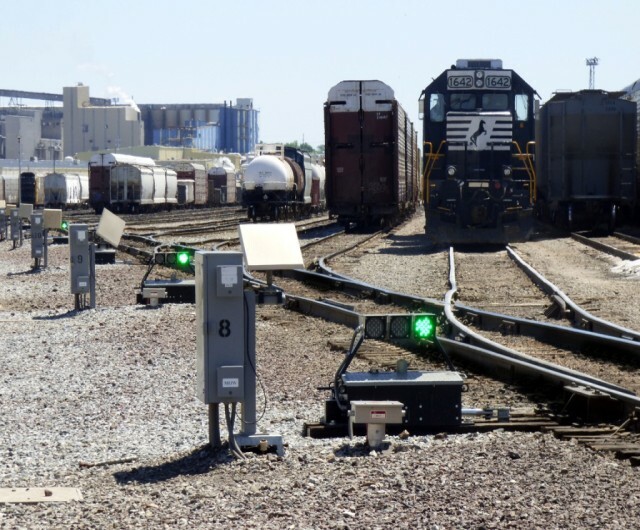 Vossloh Signaling, Inc. designs and manufactures innovative products and systems that that help our customers achieve a greater degree of efficiency in their operations. Our portfolio includes proprietary and industry standard switch machines and components, along with a line of electronic modules and software that can be linked together to form turnkey switch control solutions. Our customers include Class I railroads, transits, industrial railroads, as well a private rail-served facilities. The Vossloh TS-4500 direct-drive hydraulic switch machine is recognized for superior performance and reliability, and is now the standard in many classification yards in the U.S. and Canada. With the VSM-24 electro-mechanical switch machine, Vossloh provides a direct drop-in replacement for M-23, an equivalent, cost competitive alternative for one of the most common switch machines in North America. In addition, Vossloh Signaling is an integral supplier of many other industry standard components such as circuit controllers and switch rods. Vossloh produces a line of electronic modules that interface with switch machines and other hardware elements to form innovative switch control solutions for dark territory sidings (FAS-PAS) and flat yards (Modular Yard Automation). These innovative solutions always contain a custom combination of Vossloh hardware and software products linked together to provide functionalities such as switch position indication, zone occupancy detection, and remote switch control from a central or decentralized location. Both FAS-PAS and Modular Yard Automation (MYA) can be implemented into new rail projects, and can be easily installed over existing tracks without requiring significant infrastructure upgrades. Vossloh is a North American leader in flat yard switching, with products that have become standards in the flat yards operations of Class I’s, regional railroads, and rail served terminals throughout North America. 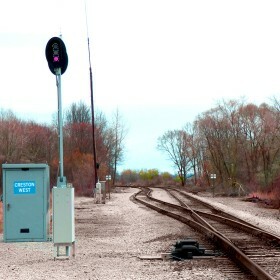 With the obvious implications for efficiency and safety, Vossloh Signaling, Inc. has a better solution for switch control in Dark Territory; Failsafe Audible Signal - Power Assisted Switch, or FAS PAS. To speak with a representative of Vossloh Signaling, Inc., contact us at 530-272-8194 during normal business hours – 8am – 4:30pm PT. Or, let us know how we can help you by sending us a message along with your contact information in the online contact form below.